*You’re going to want to pay attention to this. Upcoming Chrome changes will affect millions of non-secure web pages, including yours. Big changes are coming to Chrome, Google’s web browser, in just a few months. The browser will flag any web forms that do not have a Secure Socket Layer (SSL) Certificate installed as non-secure. That warning will drive viewers from your contact page, e-commerce checkout, and any page where you ask for customer information. Chrome is currently the most popular web browser in the United States with 44.71% of internet user market share. They are small data files that encrypt information online. This helps prevent third parties from intercepting vulnerable user data. 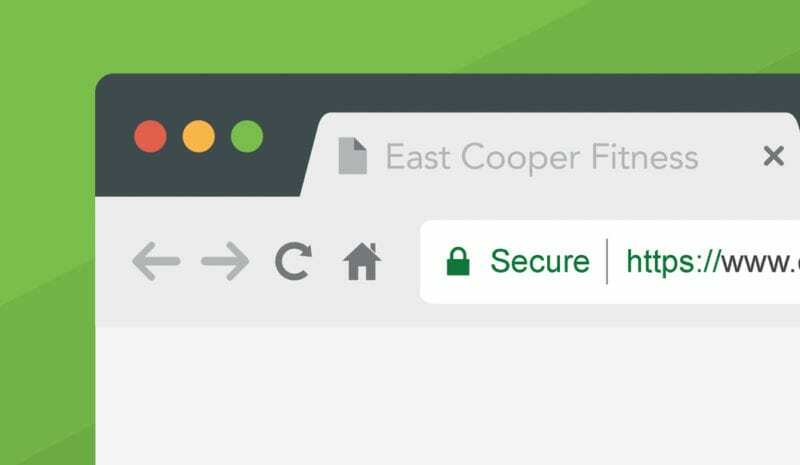 You purchase and install an SSL certificate to build a strong, secure connection between a web browser and a web server. Once an SSL certificate is installed, a web page changes from HTTP to HTTPS. Eventually, every non-secure/non-HTTPs page visited in Google Chrome will have a red triangle next to the URL, warning customers that the page isn’t secure. It’s part of Google’s broad strategy to make the web safer. The search engine giant is taking the next step in this epic web security plan. In October of this year, Google Chrome is laying down the law on website forms. In January 2017, Google Chrome added a non-secure warning to all pages that collect payment and/or password information. This was the first step in Google’s plan to push all websites to adopt HTTPS. October’s change marks the second step in this process. “Not secure” warnings will appear on pages that ask people to enter ANY kind of information, not just sensitive payment data. Google wants every website to have an SSL certificate – and that’s a good thing. It will protect you from potential cyber threats while giving your customers peace of mind. Why Do You Need to Pay Attention? You want your customers to feel safe on your website. Non-secure pages will drive customers away. Whether you’re a retail store or a law firm, you want people to get in touch with you online. If you don’t have an SSL certificate, customers will see this new Google warning on your contact page, or anywhere else you ask them to send you information. That means that your contact form to your sales team will be flagged as non-secure. Your request for an email address so your marketing department can build effective campaigns will seem unsafe. The employee intake form from your HR department will actually drive top qualified candidates away from your organization. All because the data that you are asking for is being transmitted in an non-secure, unencrypted manner making it vulnerable. Besides the obvious security benefits, an SSL certificate could also help your SEO. Google’s search algorithms favor HTTPS websites. Your website could rank higher in search engine results if you have this extra protection. You can also stand out from your competitors by adding an SSL certificate. Google’s October updates will likely catch a lot of companies off-guard. Customers would probably choose your secure website over a competitor’s non-secure site. If your website does not have an SSL certificate, NOW is the time to get one. This small investment can make a big impact. It’s not terribly difficult to install an SSL certificate, nor is it especially intuitive. You can add one yourself, or you can have a web developer install it for you. There are many companies that sell this service, including ACS Creative. In preparation for the Google Chrome change, you should apply an SSL certificate to your contact form. Even if you’re only asking for an email address, you need this HTTPS page to avoid the dreaded non-secure warning. Thinking ahead, you may want to apply an SSL certificate to your entire website. That way, you’ll be covered when Google Chrome does decide to add scary red triangles to all HTTP pages. Though Google won’t say when they’re taking that bigger step, the change is coming sooner or later. You want to be prepared when it does. Unsure what to do next? Our developers can setup your SSL certificate the right way. We can keep your website secure and your customers happy with our Website Oil Change. © 2019 ACS Creative. All rights reserved.